Purpose – University students, especially at the freshman level, oftentimes experience challenging difficulties while accessing, analyzing, and evaluating internet information for research purposes. WebQuest provides students with an organized digital tool that allows them to develop a goal-oriented process of online search. Yet, empirical research on this subject is absent from the educational literature of the Kingdom of Saudi Arabia (KSA). This study addresses this gap in the literature towards the goal of enriching the discourse of WebQuest value on advancing university students’ higher-order critical thinking skills within the context of the KSA. 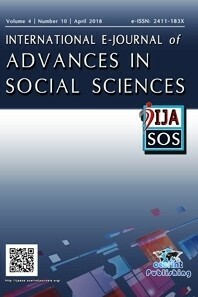 The overall aim of the study is twofold: First, it examines the impact of an interdisciplinary WebQuest, as an inquiry-based activity in a social constructivist and scafolded learning environment, on advancing students’ lifelong learning competences and their affiliated skills while developing their business plans and projects. Second, the study uses the Technology Acceptance Model (TAM) as a conceptual guide to explore the relationship between the perceived usefulness and perceived ease of use of the tool on the one hand and students’ attitude towards WebQuest on the other hand. Design/methodology/approach – Two guiding principles derive the overall design of the study: (1) The implementation of a social-constructivist teaching and assessment approach to learning; (2) Exploring the validity of the Technology Acceptance Model within the context of Saudi Arabia. Towards this goal, a mixed methods case study approach is used with a Likert scale questionnaire that ends with three open-ended questions to collect qualitative data for validating findings from the survey. Findings - The findings suggest that (1) students perceived WebQuest as a well-organized digital tool that facilitates the process of collecting reliable information and sources for their research projects, and (2) there is a statistically significant impact of integrating WebQuest on advancing students’ teamwork, research, and technology and leadership skills. The findings also indicate that the correlation is statistically significant. In addition, it is evident that there are other factors such as faculty feedback, technical support, and providing exemplary models and templates of Web Quest that maximized the successful implementation of the tool in an engaging, active and constructivist-oriented learning environment. Allan, J., & Street, M. (2007). The quest for deeper learning: an investigation into the impact of a knowledge-pooling Web Quest in primary initial teacher training. British Journal of Educational Technology, 38(6), 1102-1112. Blummer, B. (2007). Utilizing WebQuests for Information Literacy Instruction in Distance Education. College & Undergraduate Libraries, 14(3), 45-62. Chang, C., Chen, T., & Hsu, W. (2011). The study on integrating Web Quest with mobile learning for environmental education. Computers & Education, 57(1), 1228-1239. Creswell, J., & Plano Clark, V. (2007). Designing and Conducting Mixed Methods Research, Sage Publications. Davis, F. (1989). Perceived usefulness, perceived ease of use, and user acceptance of information technology. MIS Quarterly, 13(3), 319–339. Davis, F., Bagozzi, R., & Warshaw, R. (1989). User acceptance of computer technology: A comparison of two theoretical models. Management Science, 35(8), 982–1003. Dodge, B. (1995). WebQuests: A technique for internet-based learning. Distance Educator, 1(2), 10-13. Dodge, B. (1997). Some thoughts about WebQuest. Online: Retrieved May 28, 2005, from http://webquest.sdsu.edu/about_webquests.html Dodge, B. (2001). FOCUS: Five rules for writing a great WebQuest. Online: Retrieved May 28, 2005, from http:// www.webquest.futuro.usp.br/ artigos/textos_outros-bernie1.html Dias, P. (1998). Social constructionism. In M. L. Kennedy (Ed. ), Theorizing composition: A critical sourcebook of theory and scholarship in contemporary composition studies (pp. 285-291). Connecticut: Greenwood Press. Fosnot, C. (1996). Constructivism : A psychological theory of learning. In C. Fosnot (Ed. ), Constructivism: Theory, perspectives, and practice (pp. 8-33). New York: Teacher College Press. Glasersfeld, E. (1989). Cognition, construction of knowledge, and teaching. Synthese, 80 (1), 121-140. Pohan, C., & Mathison, C. (1998). WebQuests: The potential of internetbased instruction for global education. Social Studies Review, 37(2), 91-93. Sanford, J., Townsend-Rocchiccioli, J., Trimm, D., & Jacobs, M. (2010). The WebQuest: Constructing Creative Learning. The Journal of Continuing Education in Nursing, 41(10), 473-479. Segers, E., & Verhoeven, L. (2009). Learning in a sheltered Internet environment: The use of WebQuests. Learning and Instruction, 19(5), 423-432. Kachina, O. A. (2012). Using Web Quests in the Social Sciences Classroom. Contemporary Issues in Education Research (CIER), 5(3), 185. Kujawa, J. (2006). Web Quests Travel to Higher Education. Journal of Hospitality & Tourism Education, 18(3), 45-55. Wang, F., & Hannafin, M. J. (2009). Scaffolding preservice teachers’ Web Quest design: a qualitative study. Journal of Computing in Higher Education, 21(3), 218-234. Iskeceli-Tunc, S., & Oner, D. (2014). Use of web quest design for inservice teacher professional development. Education and Information Technologies, 21(2), 319-347. Harper, K. A., & Dewaters, J. (2008). A Quest for website accessibility in higher education institutions. The Internet and Higher Education, 11(3-4), 160-164. Polly, D., & Ausband, L. (2014). Developing Higher-Order Thinking Skills through WebQuests. Journal of Computing in Teacher Education, 26(1), 29-34. Sweet. S. & Grace-Marin, K. (2012). Data Analysis with SPSS: A First Course in Applied Statistics. Allyn &Bacon. Pearson.